Spreeder CX can import and accurately convert files with the following extensions. Now you can speed read content from 46 file types! Read faster & comprehend more by harnessing the techniques of the world's most respected speed-reading trainers and record-holders. If you’re like most people, you have a lot of books you want to read, training you need to complete, and news you need to “stay on top of”. Power through your reading so you can spend more time doing the things you love. Get more done so you can be more successful in your job, your study, and your life. Learn fast, be up-to-date. Be educated and interesting with much less effort. We spent thousands of hours fine-tuning Spreeder so you can easily read at 3 or more times your normal speed. Power through all your reading material in a fraction of the time, become smarter, and save valuable time. Spreeder uses the latest advancements in RSVP technology to make your reading experience super productive. Tune Spreeder and make it perfect for your reading style. Everything is adjustable and all your settings are saved in your cloud account. Adjust speed, navigate, and more from the comfort of your keyboard. remembers your position in every book, web page, and document you’re reading so come back to it anytime. 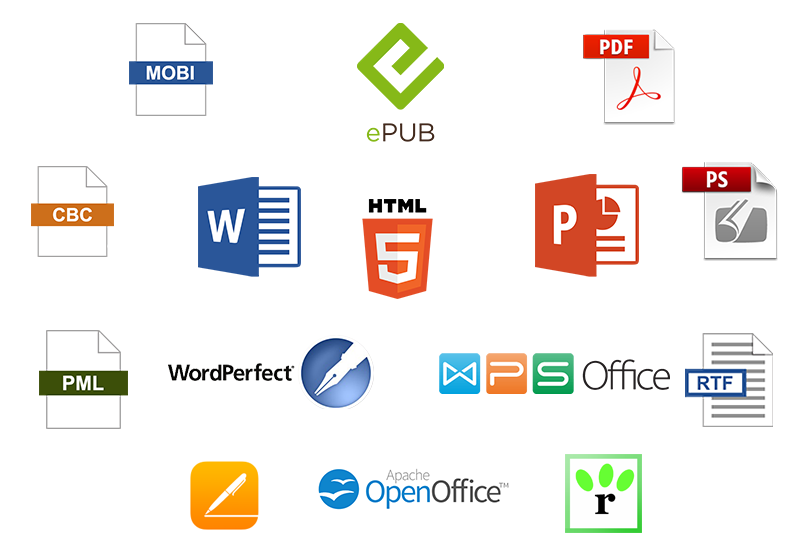 It’s super easy to import any web page, pdf, word, text file, ebook, and more. Spreeder stores all your reading material in your personal cloud library that you can access from anywhere. Speed read anytime it’s convenient. Spreeder automatically saves your position in all your books and documents. Instantly speed read web pages. Spreeder even automatically removes the stuff you don’t want to read such as menus and ads. Easily import word files, text files, html files, and more. To get you started, we’ve even included over 20,000 classic books with an original combined selling price in the tens of thousands of dollars. Spreeder’s advanced technology can effortlessly and accurately import 46 different file and e-book formats. Now you can speed read almost anything. Spreeder has been featured in hundreds of publications, including some of the world’s popular news and tech sites. The guided training section takes you through a series of activities designed specifically to help you learn speed reading techniques. left off on the next. You can share your texts with friends and read in groups. Spreeder automatically keeps everything in sync across all your computers, even different platforms. Share reading material with groups and learn speed reading together. Track Your Reading, See Your Improvement, And Feel Rewarded. you spend, your reading speed, and how things change over time. You can see your progress and feel motivated and rewarded. 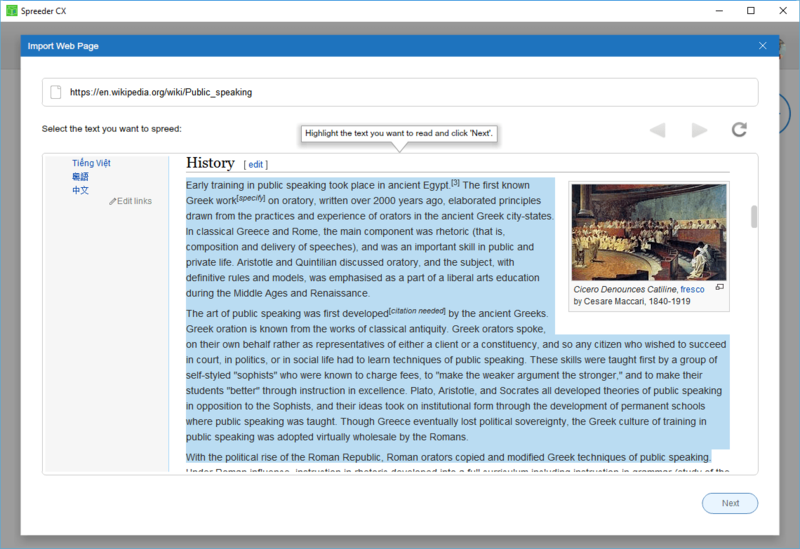 Your personal dashboard gives you a quick snapshot of your reading and improvement. See detailed information about your reading. Spreeder can even recommend reading goals and help you achieve them. has their own individual profile in the cloud. With Spreeder, the whole family can enjoy the benefits of amazing reading skills together. Vocabulary is an essential part of speed reading. Improving your vocabulary even slightly can give a dramatic boost in speed and an even bigger boost in comprehension. That’s why for a limited time we’re including our vocabulary audio training program for free when you download Spreeder today. This program contains over 10 full hours of digitally recorded material via instant MP3 download, 9 comprehensive electronic exercise books, and 9 sets of printable flashcards. Other customers have happily paid $225 for this course. But it’s yours free when you order Spreeder today. Spreeder CX comes with a 12 Month unconditional guarantee. Just use Spreeder CX as much as you like for up to 12 full months. If you’re not completely satisfied, just contact our helpdesk anytime within one year for a prompt and courteous refund. How To Access Spreeder In The Next Five Minutes. There is no need to wait. You can access Spreeder in just 5 minutes. We urge you to take the final step and try this powerful technology immediately. You can start boosting your reading speed right now. You will only be charged the special limited price of $37 and can get a full refund any time within the 12 month guarantee period. It’s easy to get started, just click the orange download button below. Within 5 minutes, you’ll receive download instructions for Spreeder and your FREE bonuses.